Businesses have a new innovative way for reaching their customers. With the emergence of smartphones, businesses can reach their customers anytime and anywhere by creating their own mobile applications. A mobile application or app is more than just a marketing tool. Aside from providing direct contact to your consumers, an app can also contain features that businesses can use to enhance services and consumer experience. A business will need the services of an iPhone or Android app development company like Emorphis Technologies to create their app. Our developers can guide you on what kind of app best suits your business. For example, the app development can take the form of a mobile game or a tool for mobile shopping. There are many features you can put in an app, and the iPhone or Android app development company can direct you to the ones that will be most useful and advantageous for your business and for your consumers as well. Enables constant communication with customer base. Mobile shopping carts – You can use an app to sell your products. 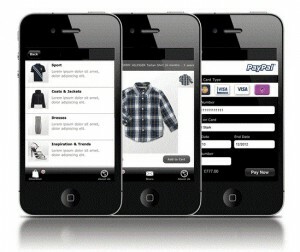 You can allow customers to search, view, and purchase items right from their mobile device. This is one way to provide convenience to your customers. Loyalty programs – Loyalty programs are one of the effective tools of marketing and your mobile app can now be a part of it. 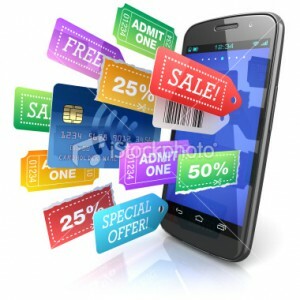 You can put coupon codes in your app which entitle your app users to exclusive discounts. You can have reward program for repeat visits when users check-in through your app whenever they are in your store. Dynamic Content – You make your app entertaining for your consumers. Dynamic content can include blogs, event listings, fan wall feature and even a mobile game. Development for these features can be constantly updated, so your users will never get bored. Customer Accessibility Tools – The mobile app can be your means to get closer to your customers. You can put one-touch calling features so they can contact you easily without storing your numbers. They can also email and send pictures to you directly through your app. You can also have a mailing list feature where you can collect the names and email address of your customers through your app. A growing business needs publicity. An Added Platform for Advertising. An Edge over Social Networking. A Lot More Information Sharing. Social media levels the playing field. Instead of having to invest significant money in purchasing mobile ads, social media gives all developers, regardless of their size or financial resources, to build an audience over time. A mobile app for your business is an opportunity to expand your business reach. It can also alleviate your customer service and make your business’s relationship with your customers more personal. It will be a great help to boost your company’s image and popularity. Work closely with an iPhone or Android app development company to create your app. We Enterprise mobility service provider company Emorphis Technologies have in-depth experience for creating engaging mobile apps for businesses. We are one of the premier Enterprise mobility Solution development company and have a long list of credentials and portfolio ranging from m-commerce solutions for retail services, e-commerce web development, Cloud computing services, and outsourced web development. If you are on the lookout for a partner to help you leverage your online business through Mobile Applications specific to retail, then do connect with Emorphis Technologies. Our proficient developers experienced in free source, mobility and cloud computing applications will help you get the best solution for your company.